The reports detailed on this web page provide details of actual data collected at Reliable Controls Headquarters Annex (RHQ). The reports have been generated using RC-Reporter. 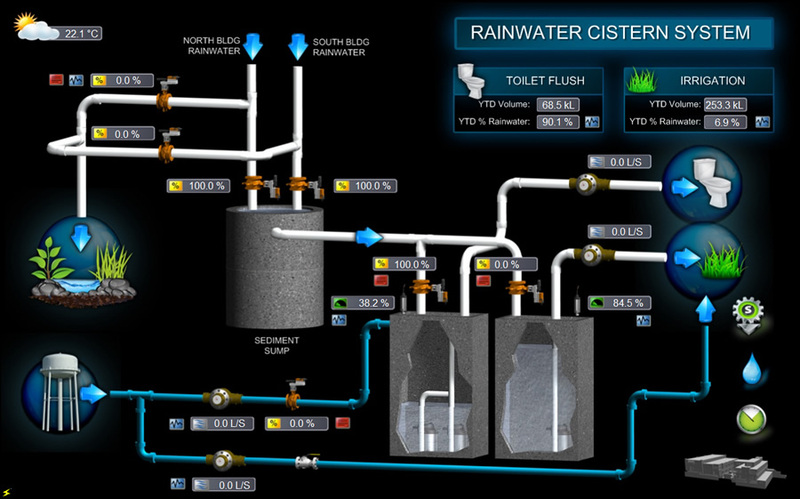 The sample graphic at the right details the water cistern system at RHQ - click image to enlarge. Select the links below to view reports tracking resource consumption at RHQ.